WASHINGTON — House lawmakers took the first steps Thursday toward shutting down hundreds of Veterans Affairs facilities through a process similar to military base closure rounds, saying the move is critical to keep the department from wasting millions of dollars on underused, aging buildings. 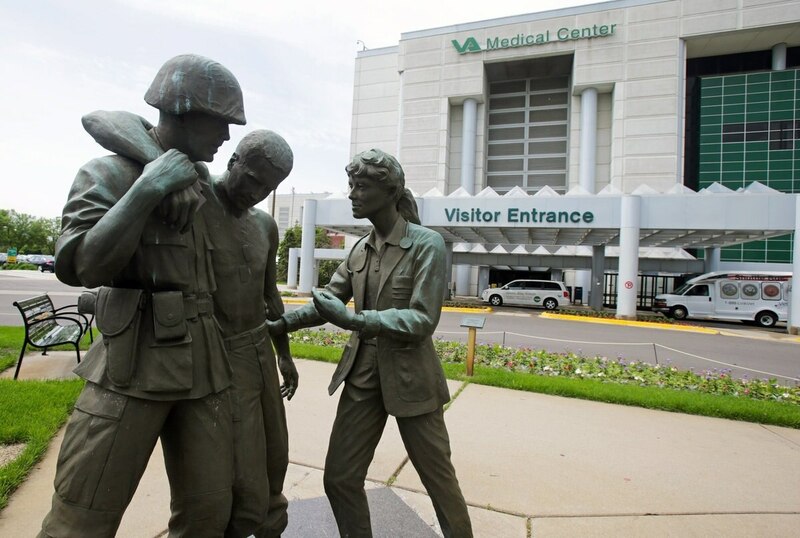 But some of the largest veterans groups said they have serious concerns with the proposal, saying it’s ripe for abuse and could tempt VA officials to outsource more veterans’ medical care to private-sector physicians. Even supporters admitted the plan will be a difficult sell on Capitol Hill. At issue are the roughly 6,300 facilities owned VA spread across the country. Department officials have said more than 57 percent of those locations are more than 50 years old, and hundreds of others provide little value to veterans care or department management. VA Secretary David Shulkin in June announced plans to close at least 430 vacant or mostly vacant buildings over the next year, a move that is expected to save about $7 million annually. But he also has pushed for further authorities to close other locations, to better match department resources with future needs. The VA base-closure-style plan — dubbed the Asset and Infrastructure Review Commission — would establish an eleven-member outside panel to recommend facility closings and resource shifts based on facility needs criteria to be established by the VA secretary. That would involve an in-depth review of VA real estate and health care strategies, complete with public hearings. The final commission recommendations would need to be approved by the president. Congress would have 45 days to override the White House decision if they disagree with the planned closings and moves. Much like the military base closing commissions, the set-up is designed to separate facility closing choices from political whims. Roe and committee ranking member Rep. Tim Walz, D-Minn., said the commission could also recommend setting up new facilities in underserved areas, using savings from other closings to pay for the new sites. But veterans groups who testified before Roe’s committee on Thursday said they have serious concerns that an outside panel could focus on savings instead of seeking the best care options for veterans, creating major problems for a system already dealing with wait time and access challenges. Officials from Disabled American Veterans said they support a full review of the department’s national footprint but aren’t convinced the base-closing commission is the right path for that discussion. Officials from the American Legion said their group would not support the plan unless veterans groups had the opportunity to veto recommendations they deem harmful to veterans care. But even without those concerns, any federal facility closing process faces a difficult path in Congress. Defense Department officials have been petitioning lawmakers for five years to hold another military base closing round, only to have the proposal rebuffed annually. Government Accountability Office researchers said the last five BRAC rounds have produced nearly $12 billion in annual federal savings. But the last round conducted in 2005 still has not recouped its original costs, which has lead many in Congress to question the value of such cutbacks. Roe insisted this plan is different, because the focus isn’t on generating savings but instead better preparing the department to respond to veterans needs. The proposal for now is only draft legislation, but he said he hopes to move forward on the issue in coming weeks. Veterans groups said they would continue to work on the issue with lawmakers but emphasized their skepticism. Acting VA Deputy Under Secretary for Health for Policy Regan Crump said department officials are not backing the idea of an outside asset commission yet, but do support “the need for more flexibility” with VA facilities. As the congressional debate continues, VA officials are reviewing another 784 non-vacant but underused facilities to determine if they can close or restructure them in coming months.